An American visitor in Pakistan can’t help thinking at times that he has arrived in a parallel universe. Asked about the presence of Al Qaeda on their country’s soil, Pakistanis deny that there is any evidence of it. They lionize A. Q. Khan, who created the country’s nuclear weapons program and sold essential nuclear technology and knowledge to Iran, North Korea, and Libya, and they are incensed by American worries about the security of their country’s nuclear assets. Suicide bombings and political assassinations are near-daily occurrences, yet many Pakistanis are astonishingly complacent about the murderous groups behind them. They rail instead against the government that is powerless to prevent these attacks and an America that would like nothing better than to see an end to ­them. Last October, when I visited, Pakistanis were fuming over the U.S. aid package recently approved by Congress. The $7.5 billion Kerry-­Lugar bill tripled American support for Pakistan over a ­five-­year period and reversed the overwhelmingly ­pro­-military slant of previous U.S. aid. Instead of going almost entirely to the armed forces, American dollars will flow to schools and clinics, economic development, and efforts to promote the rule of law and democratic governance. Pakistan’s friends in Washington were jubilant. Yet most Pakistanis I spoke with insisted that because the aid came with ­conditions—­the U.S. secretary of state must certify that Pakistan is working to end government support for extremist and terrorist groups, for ­example—­it was an affront and a threat to their country’s sovereignty. One legislator complained that what Pakistan was being asked to accept was less an aid package than a treaty of ­surrender. Denial is a national habit in Pakistan. With a long history of failed governance and political leaders who put their personal interests first, Pakistanis point their fingers at the United States, their arch-enemy India, or the ­all-­purpose malefactor often described in the local news media as the “hidden hand”—anyone but themselves to explain their nation’s past failings and precarious ­present. If they were characters in a television sitcom, Pakistan and the United States would be a perfectly mismatched pair in a series guaranteed a long run. But in the real world of international affairs, this is a difficult relationship that the United States must repair. Pakistan is too important for us to sit idly by while it deteriorates. Its 175 million people make it the sixth most populous country in the world; and other than Indonesia, no country is home to more Muslims. With roughly 650,000 active-duty personnel, its military is almost as large as the combined forces of Britain, France, and Germany. And Pakistan is one of the world’s nine ­nuclear-­armed states, with perhaps 50 to 100 weapons. It is a conservative, patriarchal society, yet it has twice been led by a female prime minister, Benazir Bhutto. Women play highly visible roles not only in politics but in the news media and in professional life; on three separate occasions, Pakistan’s ambassador in Washington has been a woman, a fact that underscores the contradictory character of the country and the relatively modern outlook of its educated classes. Ruled by the army for more than half its history, Pakistan nonetheless boasts an obstreperous civil society and a free, often unruly press. It is a feudal society where tribal and clan ties loom large, and powerful landowners control thousands of votes on election day. Men, women, and children still carry huge piles of firewood on their shoulders along city streets, as if the past 500 years had never occurred. Yet the country also boasts an active stock exchange, a cultured urban elite that enjoys its Scotch, and, of course, those 21st-century nuclear ­weapons. Pakistan’s troubles are alarmingly plentiful and plain to see. Its economic growth rate is the lowest in South Asia, while its inflation rate is among the highest in the world. Its education system is in shambles, its judicial system inefficient and frequently corrupt, its political institutions ineffectual. Pakistan comes in near the bottom on most human development indexes. According to the United Nations, it ranks below 133 other countries in adult literacy. Power shortages are endemic, aggravating already high levels of unemployment and in­creasingly stoking dem­on­strations and other signs of political instability. Even in the swankiest neighborhoods of Kar­achi, the country’s commercial and financial hub, or the capital city of Islamabad, blackouts are so frequent as to merit no ­comment—­a good host always keeps plenty of candles at the ­ready. Instability has become a way of life for Pakistan. Islamabad’s authority does not even extend over the entire country. Baluchistan, the largest of the country’s four provinces, is home to a ­low-­level but ­long-­running separatist insurgency. Armed gangs, some affiliated with political parties, periodically bring the great city of Karachi to the edge of anarchy. The tribal areas along the border with Afghanistan have never been fully incorporated into the Pakistani body politic, but have enjoyed a ­semi-­autonomous status and are best known for their fierce resistance, sometimes by force of arms, to Islamabad’s ­control. More urgently, a variety of ­loosely ­linked Islam­ist groups known in the West as the Pakistan Taliban, many with ties to Al Qaeda, have in recent years unleashed attacks on markets, schools, restaurants, hotels, mosques, and other public places throughout the country. On the day I arrived in ­mid-­October, a suicide bombing in the rugged northern district of Swat killed more than 40 people. The previous weekend, extremists had carried out a bold attack on the army’s general headquarters, in the city of Rawalpindi, killing a Pakistani general and 22 others. A day earlier, 50 people had died in a car bombing in Peshawar. Overall, terrorism took the lives of more than 300 Pakistani civilians in ­October. Many of the groups that now besiege the country were nurtured over several decades by Pakistan’s military and intelligence services. That support, which in retrospect appears ­ill ­judged if not suicidal, was the product of the country’s obsession with India, its existential enemy since Pakistan was born out of the violent partition of the Subcontinent in 1947. India and Pakistan have fought four wars since then. The thinking in Islamabad was that these groups would tie down Indian forces along the border, especially around the disputed region of Kashmir, helping to compensate for Pakistan’s conventional military inferiority while enabling Islamabad to deny any responsibility for their guerrilla activities. Only recently have the government and army begun to rethink this policy. Meanwhile, Pakistan has bled. With the exception of Iraq and Afghanistan, which are active war zones, Pakistan has suffered more from terrorism in recent years than any other nation in the world. According to the U.S. National Counterterrorism Center, it experienced more than 1,100 terrorist attacks in the first six months of 2009, or more than six a day. The final count for the second half of the year will almost surely be ­higher. Instability has become a way of life for Pakistan. Islamabad’s authority does not even extend over the entire country. Baluchistan, the largest of the country’s four provinces, is home to a ­low-­level but ­long-­running separatist insurgency. 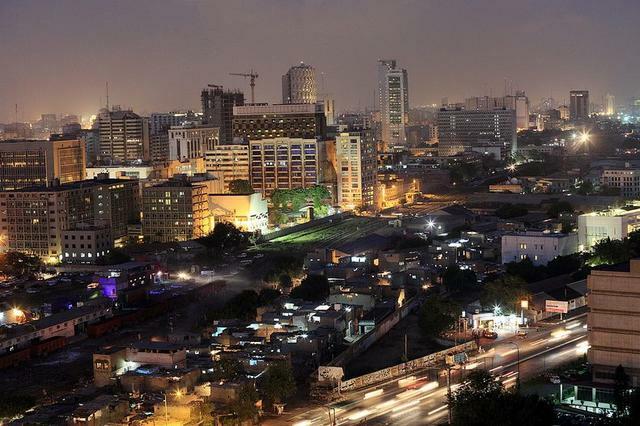 Armed gangs, some affiliated with political parties, periodically bring the great city of Karachi to the edge of anarchy. Pakistan has become the epicenter of global terrorism, earning a reputation as the most dangerous place on earth. Pakistanis bridle at the label, yet U.S. intelligence believes that the remnants of Al Qaeda’s leadership are hiding either in Quetta, the capital of Baluchistan, or in the mountainous tribal areas straddling the ­Pakistan-­Afghanistan border. 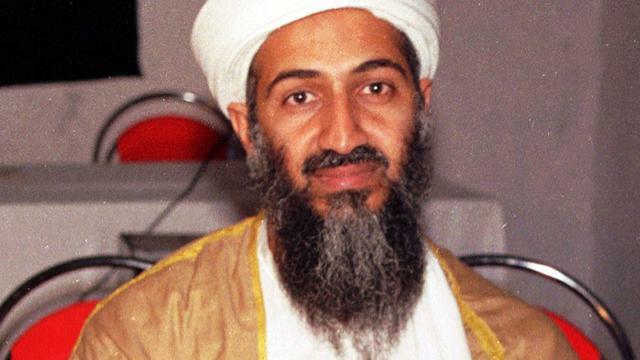 A passport recently found in the tribal areas has been linked to two of the hijackers involved in the 9/11 ­attacks. A visitor to Islamabad cannot avoid daily re­minders of the extremist threat. Police checkpoints interrupt the flow of traffic every few blocks. Heavily armed soldiers bivouac in tents along the city’s broad boulevards. Coils of concertina wire sit atop a wall surrounding the U.S. embassy, giving it the look of a beleaguered outpost in enemy ­territory—­hardly an advertisement for American soft power. Hotels are ringed with security barriers. A new blast wall prevents easy access to the Marriott hotel, the site of an attack two years ago that killed at least 53 people and injured more than 260. I find that these days I think much more about personal security than during my earlier visits. When my driver’s wrong turn took us down a dead-end street in October, I instinctively thought of kidnapping and scanned the streetscape for an escape ­route. And yet, one suspects that many of the security measures I saw are just for show. As my car approached checkpoints, police would peer inside, see my Western features, and wave us through. But they did the same thing with nearly every car, making one wonder what they were looking for, or what the purpose of these traffic stops actually was. Still in ­denial? The United States looms large in the minds of most Pakistanis. Nothing in Pakistan, one hears repeatedly, happens except at the instigation of one of the three A’s: Allah, the army, or America. When I visited last fall, the newspapers and especially the sensationalist television talk shows were obsessed with rumors that heavily armed U.S. diplomats were prowling the streets of Islamabad. The notorious (especially in Muslim countries) U.S. security company Blackwater, which has tried to “rebrand” itself as Xe Services, was said to be scouring the country for Pakistan’s nuclear arsenal in preparation for a U.S. com­mando attack. In Islam­abad, the U.S. Embas­sy’s plan to expand in order to accommodate the influx of workers that will come with increased U.S. aid was cited by commentators as fresh evidence of an American plot to take over the ­country. The United States looms large in the minds of most Pakistanis. Nothing in Pakistan, one hears repeatedly, happens except at the instigation of one of the three A’s: Allah, the army, or America. When I visited last fall, the newspapers and especially the sensationalist television talk shows were obsessed with rumors that heavily armed U.S. diplomats were prowling the streets of Islamabad. Missing from this historical recollection is any recognition that Pakistan used its Cold War partnership with the Americans for its own ­pur­poses—­notably, its rivalry with India. American arms meant to shore up Pakistani defenses against possible Soviet aggression were employed instead against India, a U.S. friend. American political and diplomatic support was repaid by Pakistani efforts to smuggle sensitive technologies out of the United States, in direct violation of U.S. law. Solemn Pakistani pledges to forgo nuclear weapons were flagrant lies. If Pakistanis believe the United States has been an unfaithful friend, Americans have every reason to complain that Pakistani governments since the 1950s have repeatedly and consistently deceived the United States. But these inconvenient facts do not fit within the Pakistani narrative. All too seldom does one find a willingness even among educated Pakistanis to accept responsibility for anything that might have gone wrong in their country’s 60-year ­history. In Washington, meanwhile, the notion that the United States cleverly orchestrates events in Pakistan strikes most American ­Pakistan-­watchers as nonsensical. From their vantage point, the United States has painfully little influence in Pakistan. It was powerless to persuade, coerce, bribe, or otherwise prevent Islamabad from going down the nuclear path in the 1980s, or from crossing the final threshold and testing a nuclear weapon in 1998. American hopes that Pakistan would evolve into a stable democracy and a modern, progressive society have been repeatedly disappointed. U.S. efforts to encourage Pakistan to abandon its obsession with India in favor of tackling its many domestic challenges have failed abysmally. Great power has not always conveyed great ­leverage. A recent case in point: Washington’s desire in the aftermath of the 9/11 attacks to find in Pakistan a stalwart ally in the war against terrorism has repeatedly run aground on the reality that Pakistan defines terrorism very differently from the United States. Convinced that America will eventually tire of fighting in Afghanistan and once again withdraw from the region, the Pakistani military and intelligence services regard many of the groups Washington deems “terrorists” as a necessary hedge in the inevitable renewed competition with India for influence in ­Afghanistan. Most Pakistanis disapprove of America’s war in Afghanistan and believe that terrorism in their country is a direct outgrowth of U.S. military operations across the border. They angrily denounce America’s use of drone aircraft to target Taliban and Al Qaeda leaders in Pakistan’s tribal areas. Many Pakistanis suspect that Washington’s ­anti­-terrorism agenda merely masks a plot to seize Pakistan’s prized nuclear assets. Such dramatic differences of perspective do not make for a comfortable alliance. Indeed, during her visit to Pakistan at the end of October, Secretary of State Hillary Rodham Clinton publicly asked how it was possible that no one in Pakistan’s military and intelligence services knew where Osama bin Laden and his top lieutenants were hiding. Many Pakistanis professed to be offended by the ­question. Notwithstanding the unhappy past and confounding present, the United States has an enormous strategic interest in seeing Pakistan succeed. If the world’s second-largest ­Muslim-­majority country can become a force for tolerance, pluralism, and modernity, this will carry immense benefits for the United States—and not incidentally, for Pakistanis. If, on the other hand, Pakistan collapses into anarchy, it will pose a far greater threat as a terrorist haven than Afghan­istan did on September 10, 2001. And this does not even take into account the nightmare scenario of Pakistan’s nuclear assets falling into the wrong ­hands. Most Pakistanis disapprove of America’s war in Afghanistan and believe that terrorism in their country is a direct outgrowth of U.S. military operations across the border. They angrily denounce America’s use of drone aircraft to target Taliban and Al Qaeda leaders in Pakistan’s tribal areas.Many Pakistanis suspect that Washington’s ­anti­-terrorism agenda merely masks a plot to seize Pakistan’s prized nuclear assets. Such dramatic differences of perspective do not make for a comfortable alliance. Despite the profound differences separating the two countries, a mutually beneficial partnership is not inconceivable. Pakistanis are not a people who disdain America’s values. Until very recently Amer­icans were welcome in Pakistan, and felt at ease traveling into the far corners of the country. Pakistani families send their children to study at U.S. universities; many have relatives living in the United States. An American green card, entitling the owner to work in the United States, is a prized possession. The practice of Islam in Pakistan has historically been tolerant, reflecting the influence of the faith’s mystical Sufi branch among the country’s worshipers. Only since the 1980s has Islam in Pakistan evolved into something less comfortable for ­Americans—­the result of inroads by ­Saudi-­financed dogmatic Wahabbism; the cultivation of extremist groups to fight the Soviets in Afghanistan; the policies of the pious Zia ­ul-­Haq, Pakistan’s military ruler in the 1980s; and a general failure on the part of successive Pakistani governments (and outside aid donors) to provide young Pakistanis with political and economic ­opportunities. No doubt, the new strength of Pakistani Wahhabbism has pushed the country in a conservative direction. But the excesses of the extremists, while cowing many Pakistanis, have also had a contrary effect, encouraging many to rethink who their friends really are. Polls, news media comment, and other evidence portray a decided shift in sentiment away from those who perpetrate violence in the name of godliness, and toward support of the use of force to eradicate ­them. The army, which for decades has cultivated many of the groups responsible for the violence in Pakistan, now appears to have concluded that domestic extremism represents an even greater threat to the country than India does. Last spring, the military abandoned its earlier strategy of negotiating ­so-­called peace accords with these groups and launched a major offensive to drive the militants from the Swat Valley. In October, during my visit, it mounted another large operation, this time in mountainous South Waziristan, along the border with Afghanistan. The region is home to some of the most violent extremists, notably the Mehsud tribe, said to be responsible for many of the most egregious suicide bombings in Pakistan in recent years. The fighting has been intense, but the army has continued to push forward. The shocking attack on its general headquarters in Rawalpindi seems to have personalized the Islamist threat for the military high ­command. To be sure, Pakistan’s governing institutions remain pathetically weak, a deficiency that must temper any optimism prompted by the army’s newfound vigor in pursuit of extremists. Few Pakistanis have confidence in the ­civilian-­led government headed by President Asif Ali Zardari, the widower of Benazir Bhutto. Zardari swept to victory at the polls in February 2008 in the aftermath of her assassination, but since then he has squandered his mandate and almost certainly could not win an election today. As if allegations of ineptitude and corruption, on top of a poor relationship with the army, were not enough, he is seen by most Pakistanis as America’s man—­a sizable irony considering that few in Washington have any great confidence in his ­abilities. For the time being, however, the government and the army are in accord on the need to move forcefully against the extremists. This, at any rate, is a start. It raises the possibility that the fight against terrorism might at last bring the United States and Pakistan together rather than divide them. But ­anti-­terrorism by itself is not a sufficient foundation for a ­long-­term partnership. A positive agenda is needed, one that recognizes shared bonds and mutual interests, not merely common enemies. The ­Kerry-­Lugar aid bill, by putting the United States firmly behind the proposition that Washington supports civilian-based democracy, economic development, the rule of law, and access to decent education and adequate health care in Pakistan, is an important step in that direction. An additional ingredient is needed, however, if the United States and Pakistan are to build a real partnership: truthfulness. During Secretary Clinton’s October visit to Pakistan, she was on the receiving end of a seemingly endless barrage of complaints about the United States and its policies. And she pushed back. She admitted past U.S. ­mistakes—­acknowledging, for instance, that America had not always been a stalwart ­friend—­but she also insisted that building a ­long-­term relationship requires two equally committed parties. Denial, scapegoating, and a willful refusal to embrace reality, she seemed to be saying, are luxuries Pakistan can no longer ­afford. Clinton’s candor was refreshing. More than that, it was essential: It is past time for Pakistanis and Americans to have an honest conversation. For instance, Clinton bluntly told Pakistani business leaders they must pay more taxes. Some might find it odd for a secretary of state to be dispensing advice of this sort (particularly in view of America’s own fiscal failures). But Clinton’s impolitic remark underscored an abiding reality: The United States cannot save Pakistan; only Pakistanis can do that. Unless they accept responsibility for their own future, Pakistan will have no future. That is not a prospect anybody should contemplate with ­equanimity. Robert M. Hathaway is director of the Woodrow Wilson Center's Asia Program. His most recent book is Powering Pakistan: Meeting Pakistan's Energy Needs in the 21st Century (2009).